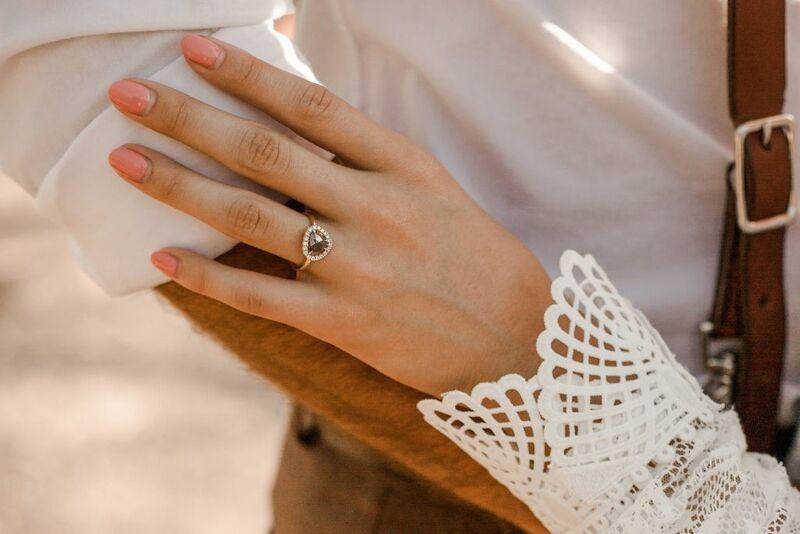 The beauty of this session lies in the incredible detailing that went into the styling. 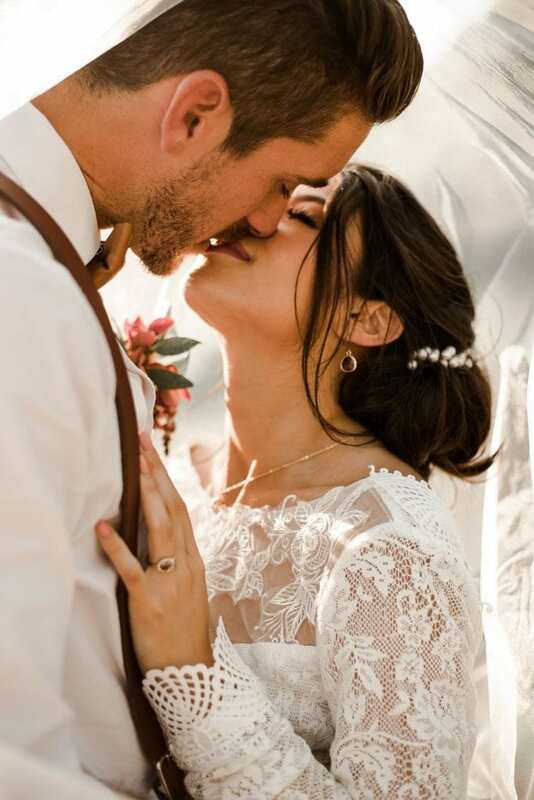 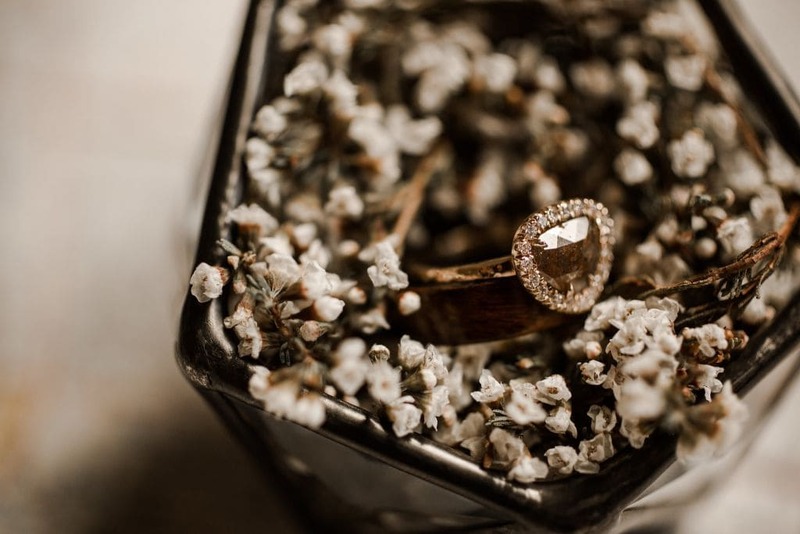 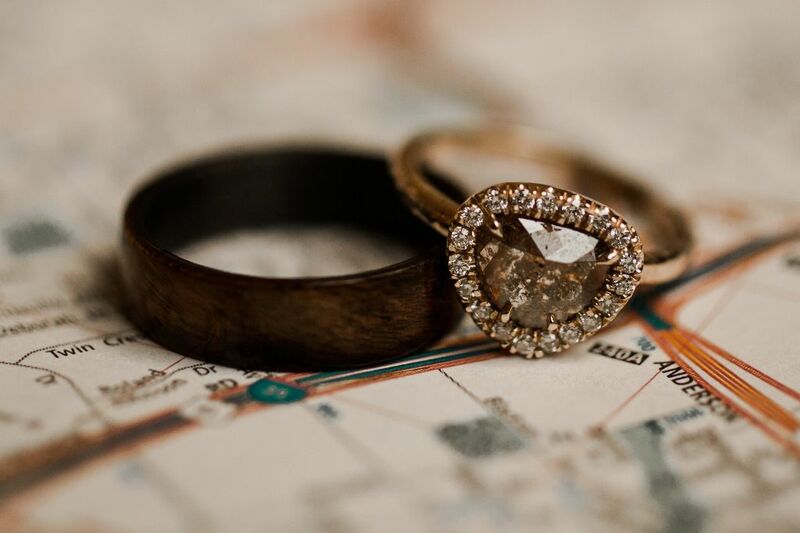 When asked to recall her inspiration, photographer Christine Pegany says, “It began as any engagement does, with a ring and a ring box.” In this case, it was a pair of particularly remarkable bands set in a glass box that sparked the initial concept. 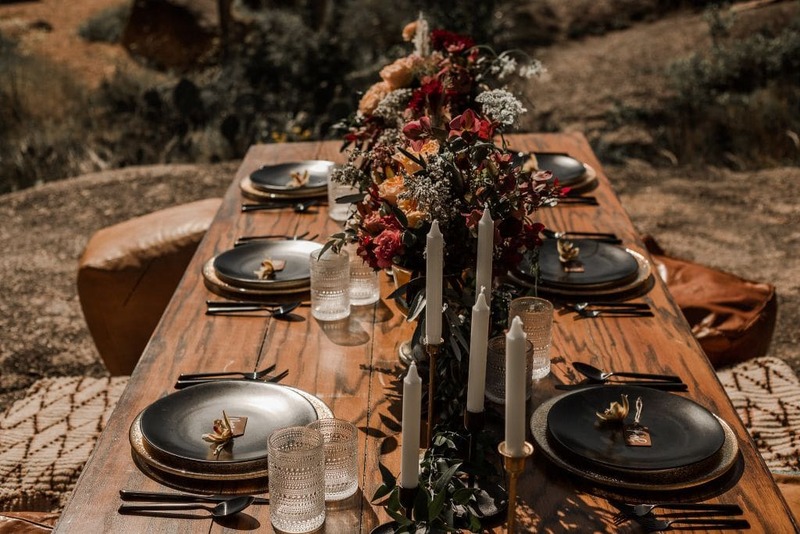 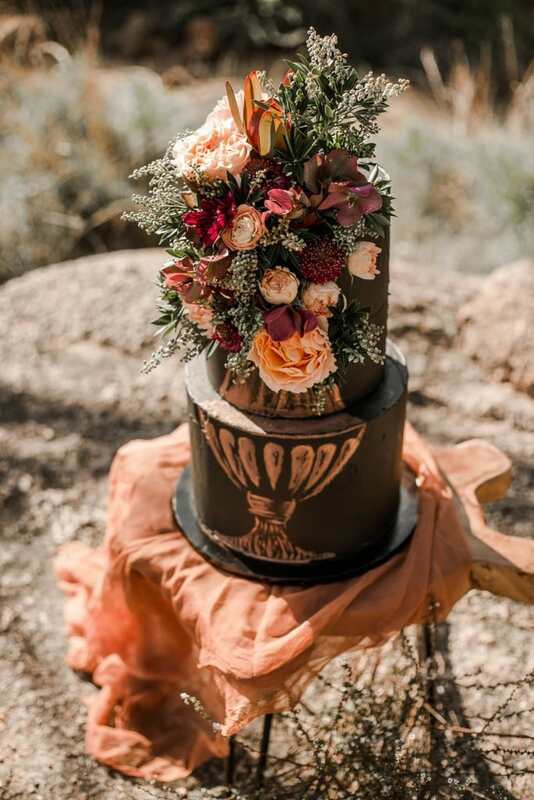 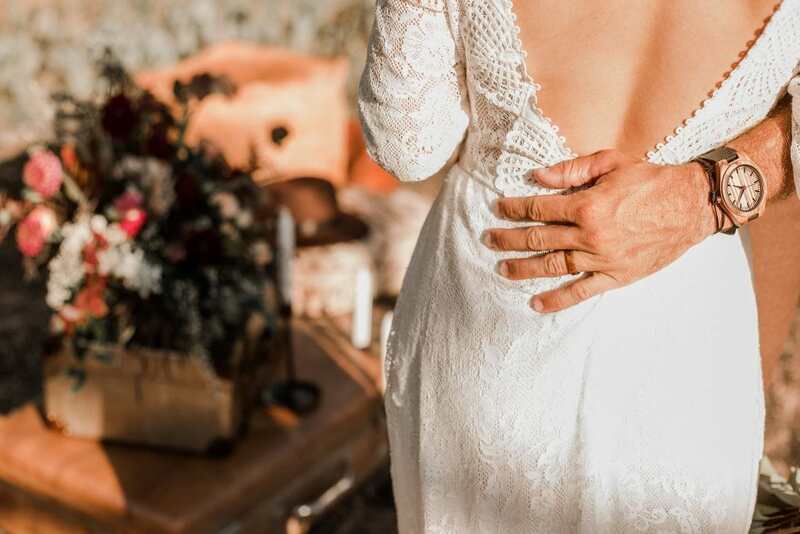 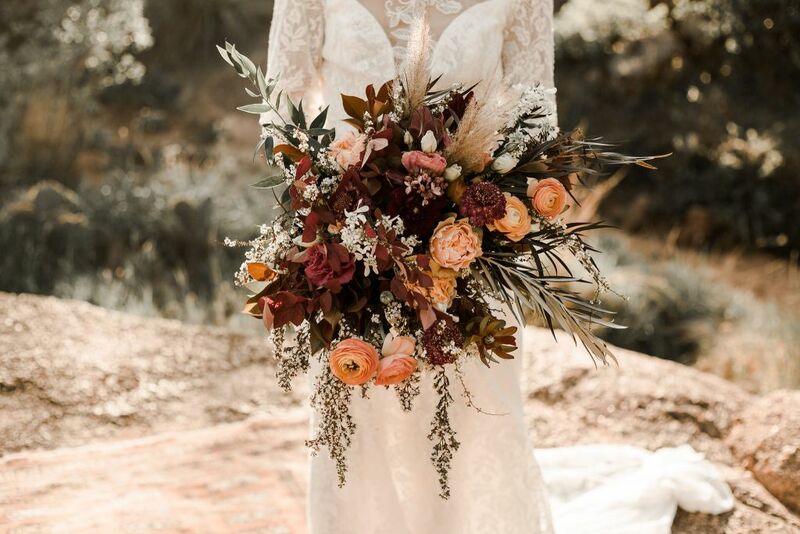 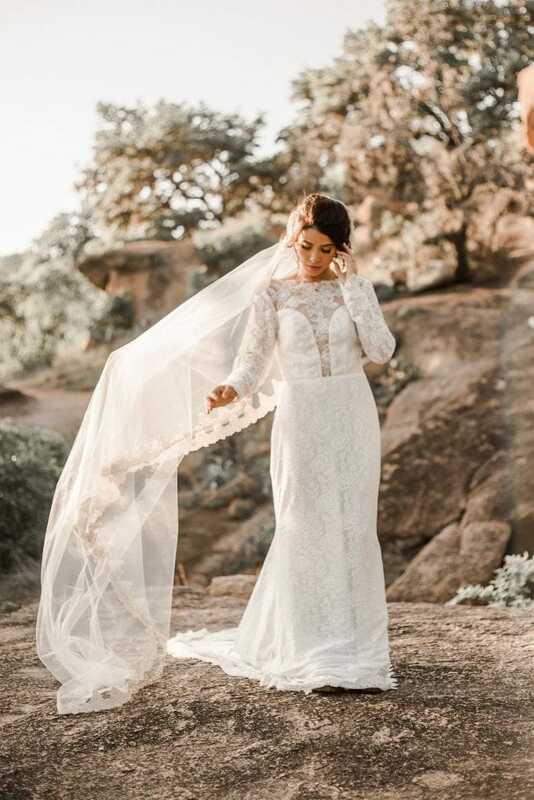 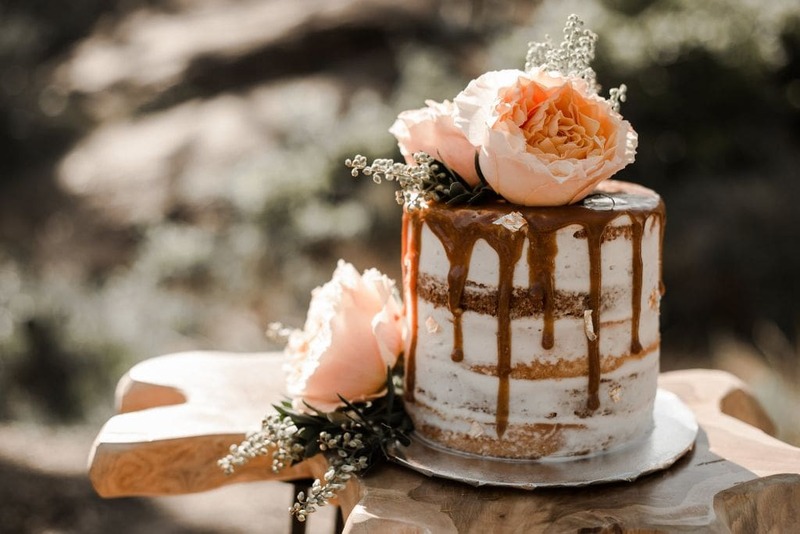 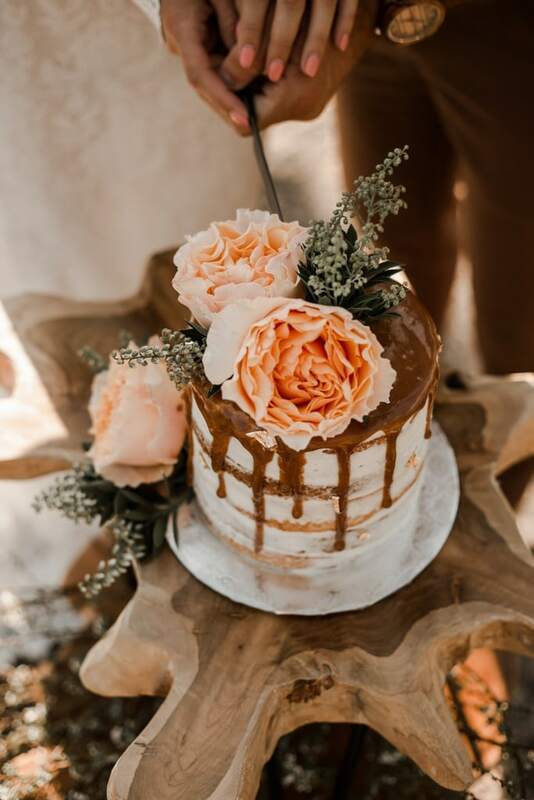 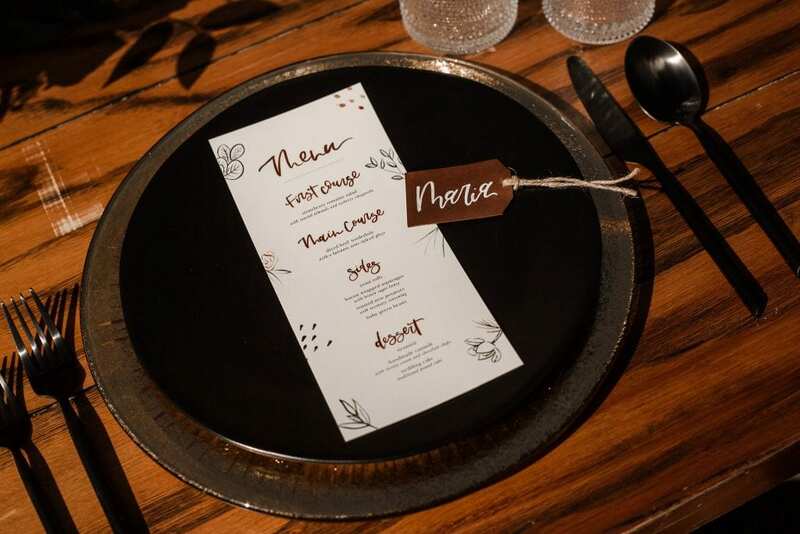 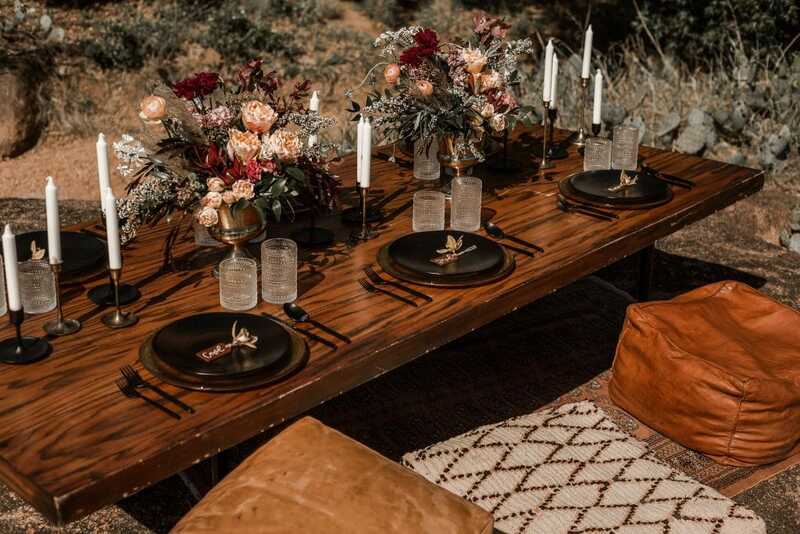 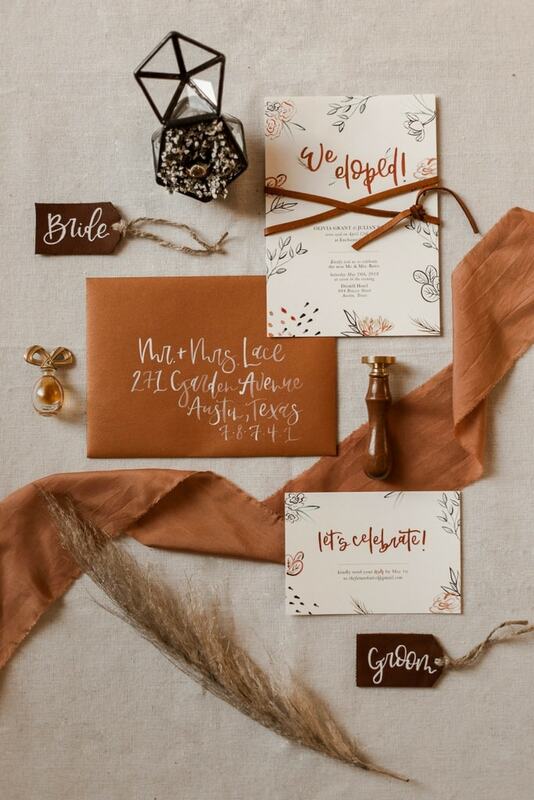 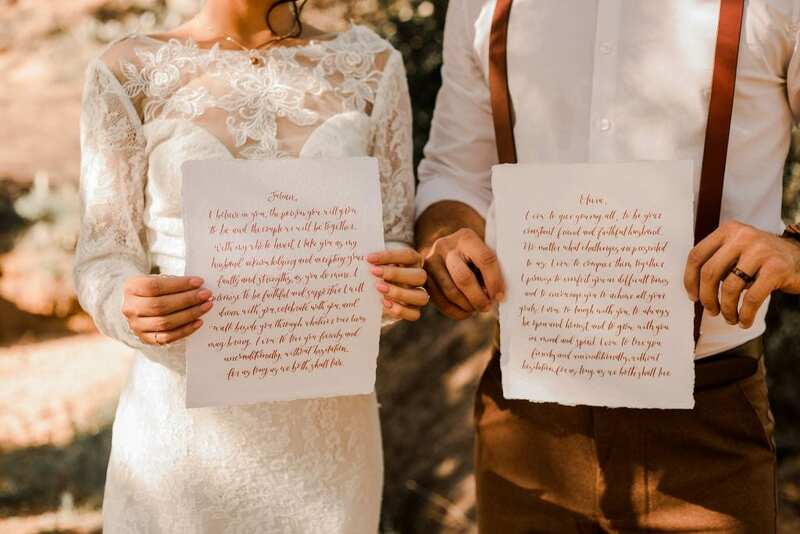 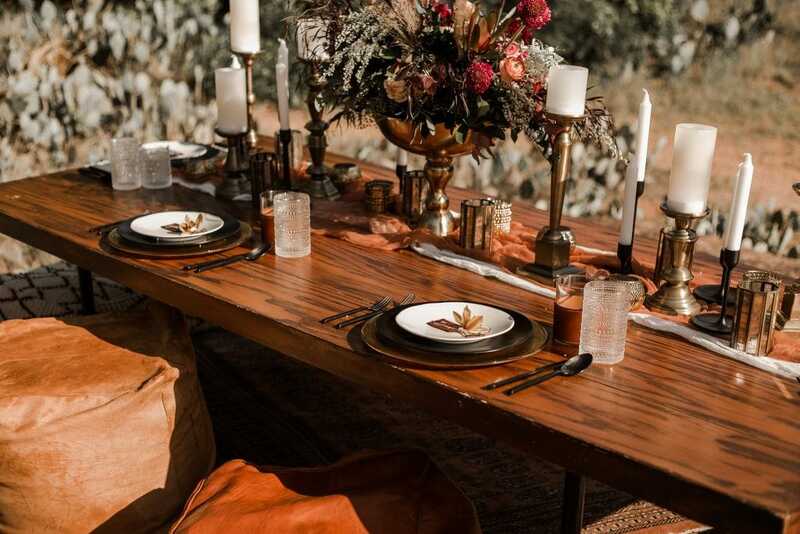 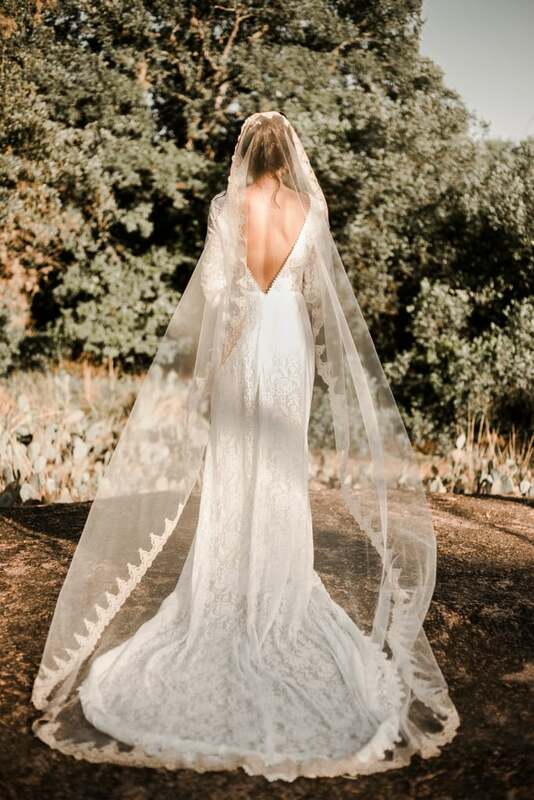 Working with a team of skilled vendors, Christine used cognac leather as the binding element for this shoot, incorporating it into every detail to create a cohesive look. 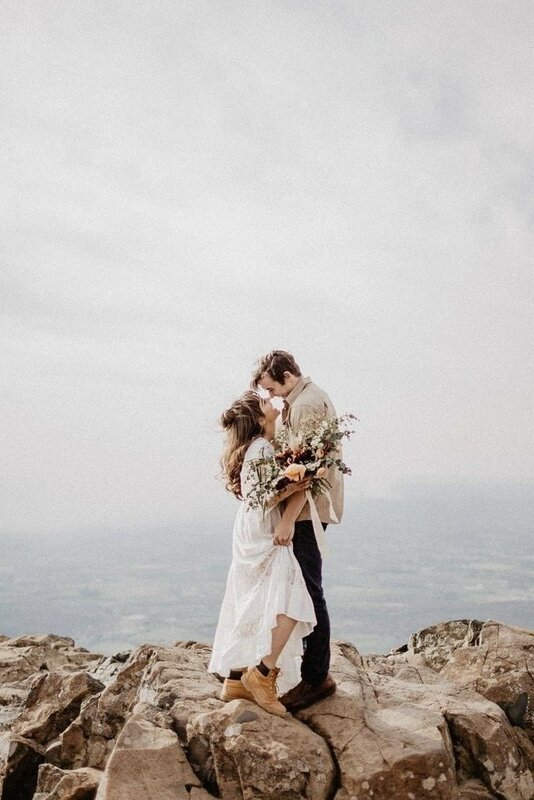 “It can be found in little things,” she notes. 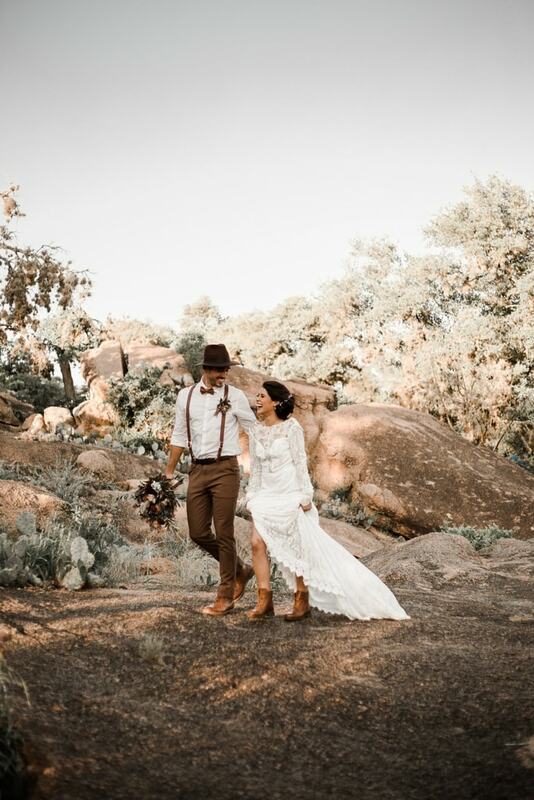 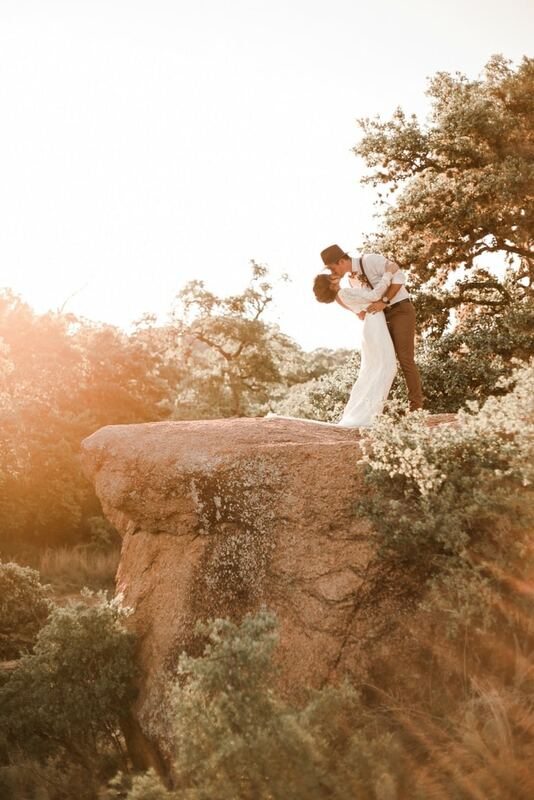 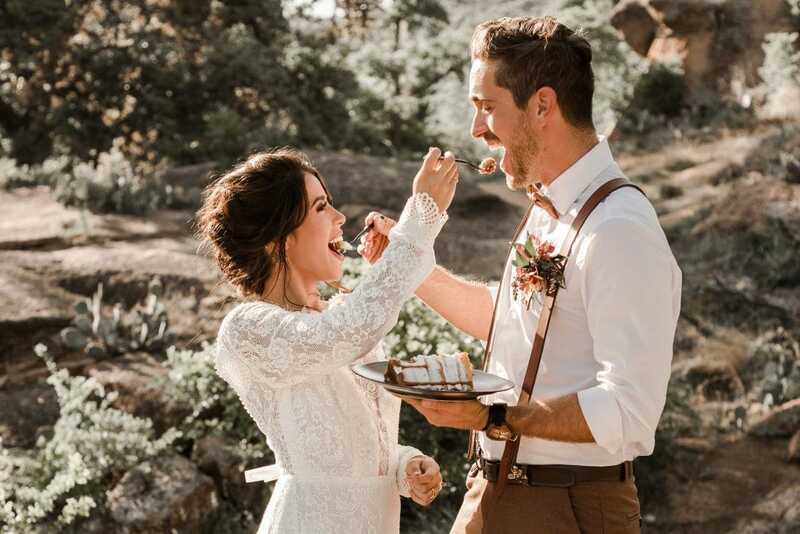 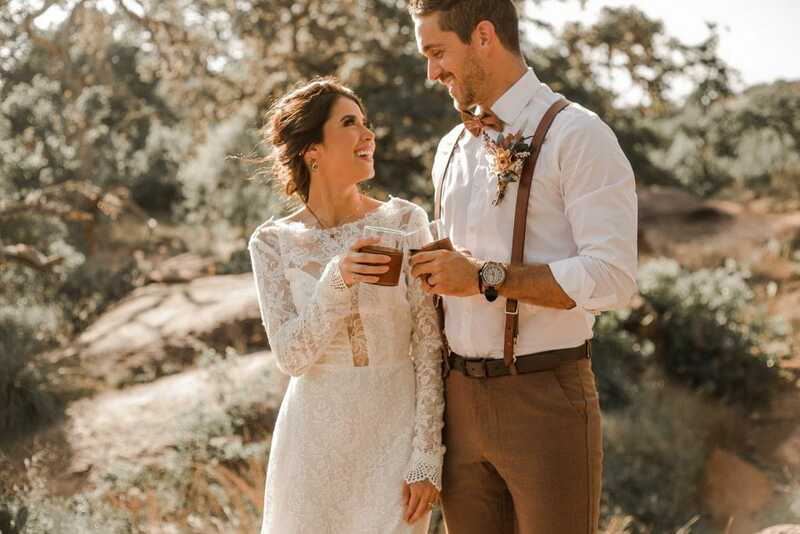 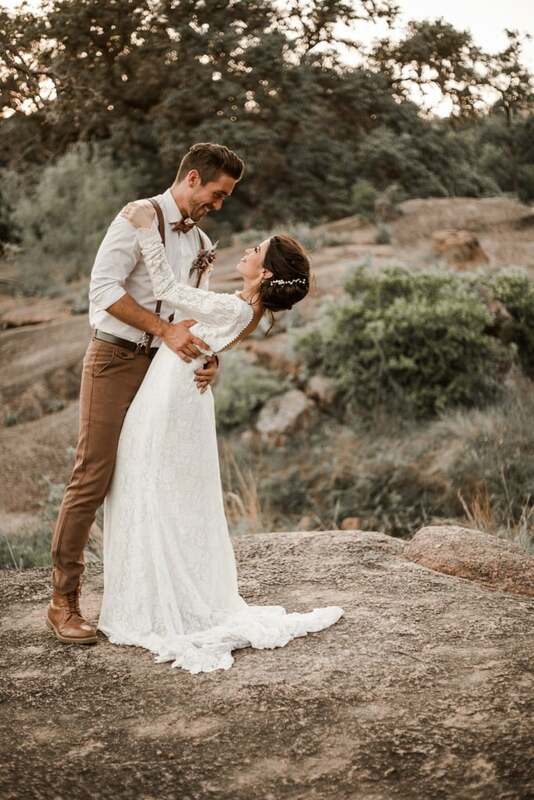 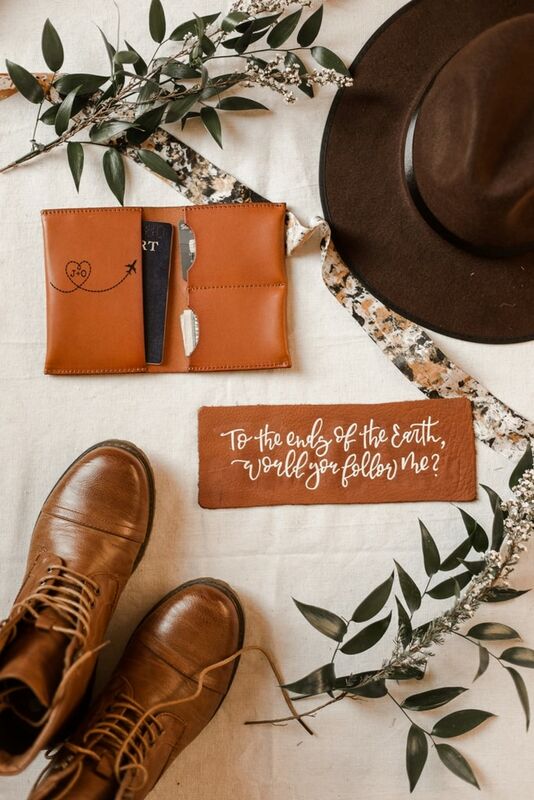 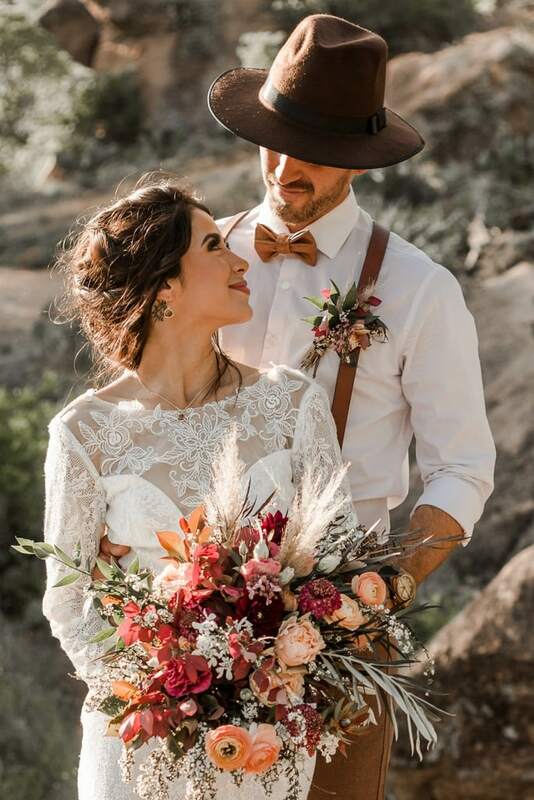 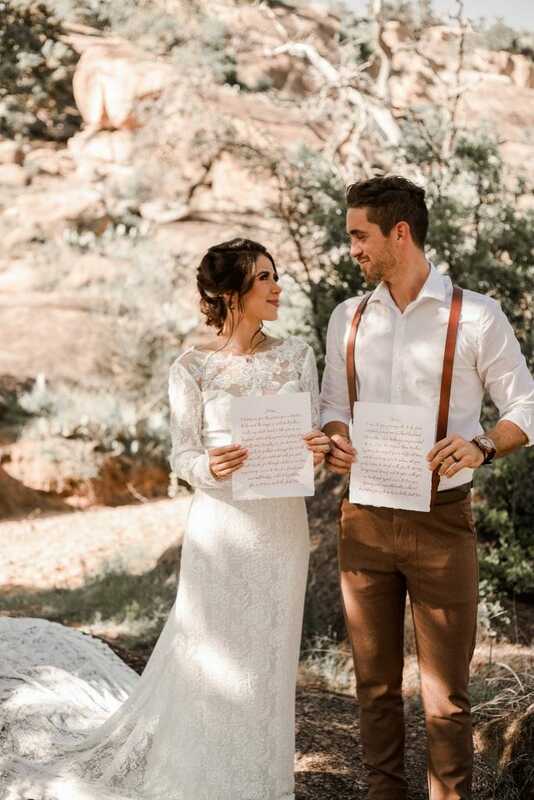 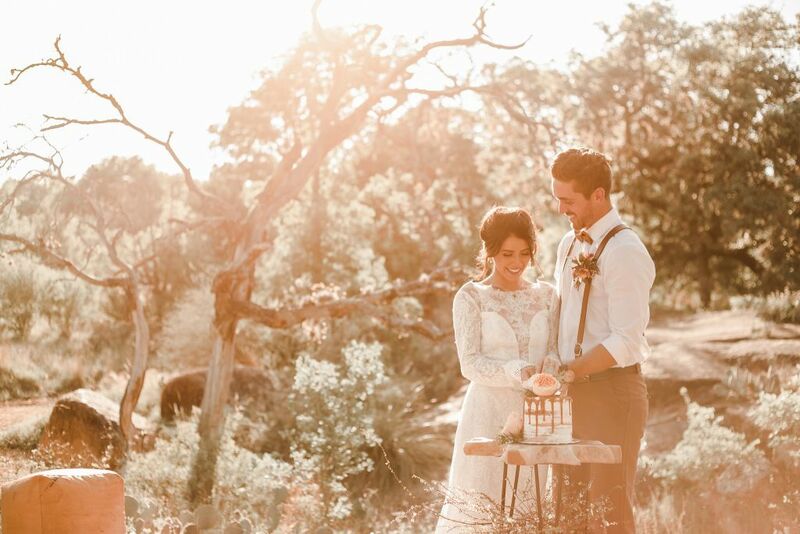 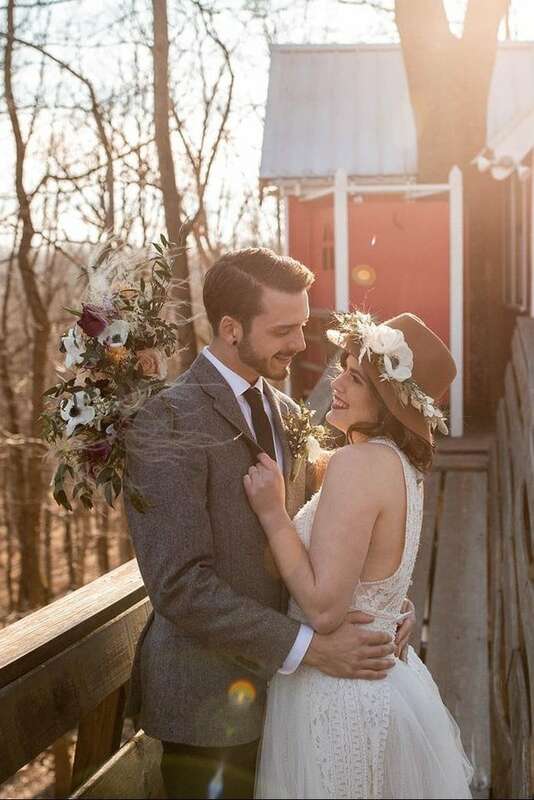 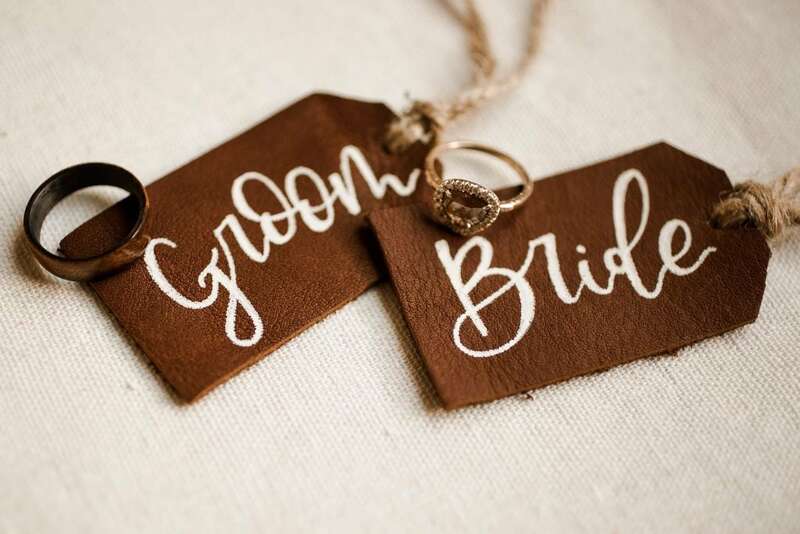 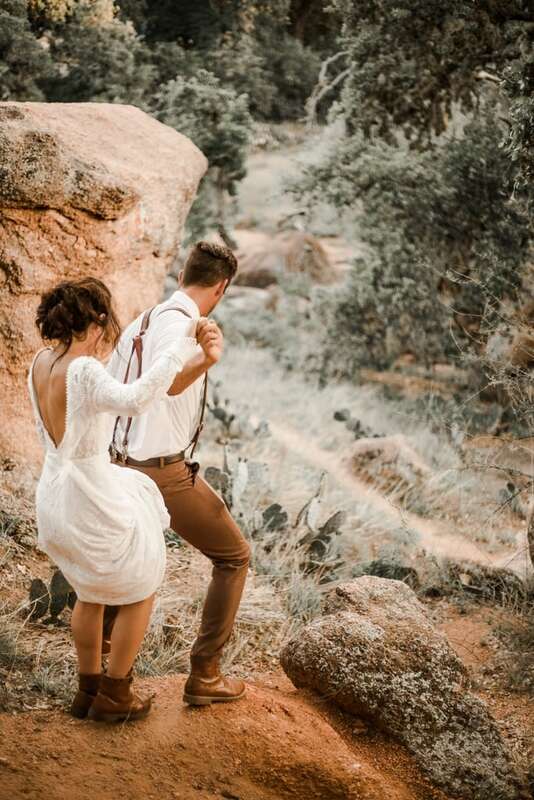 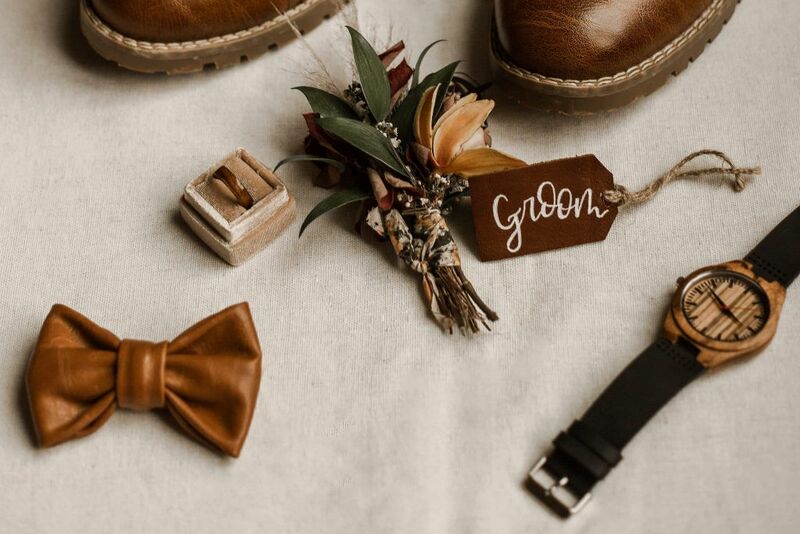 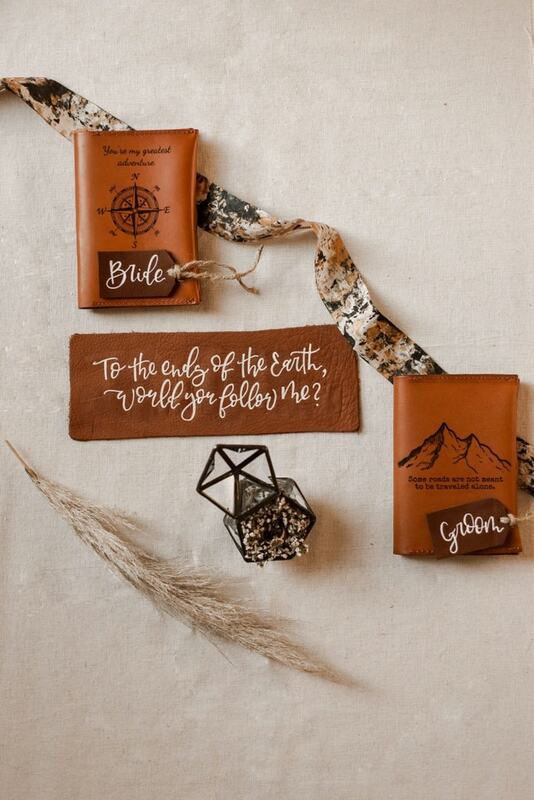 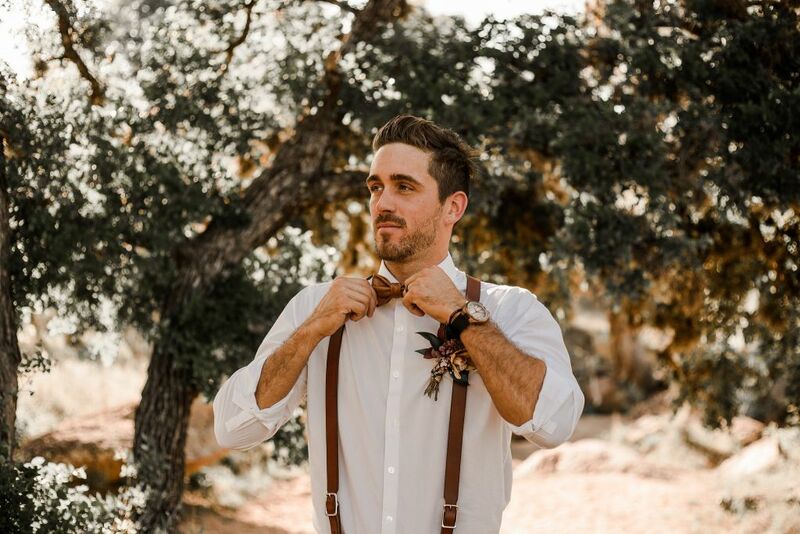 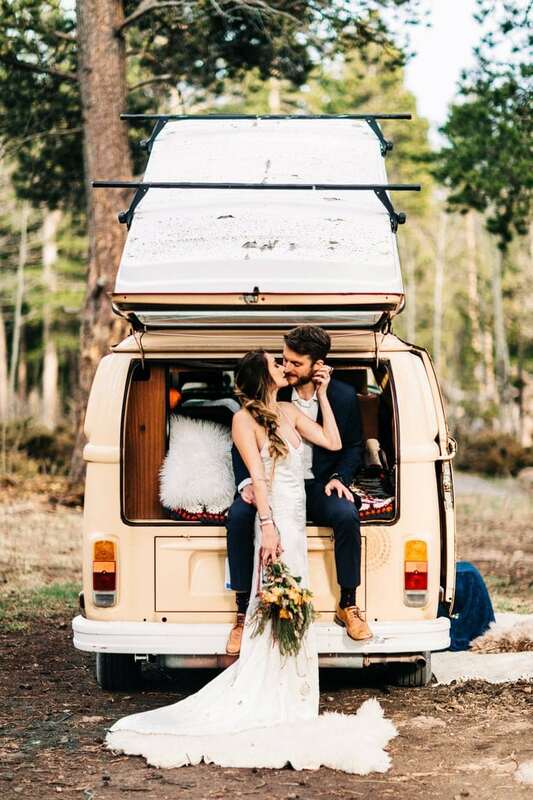 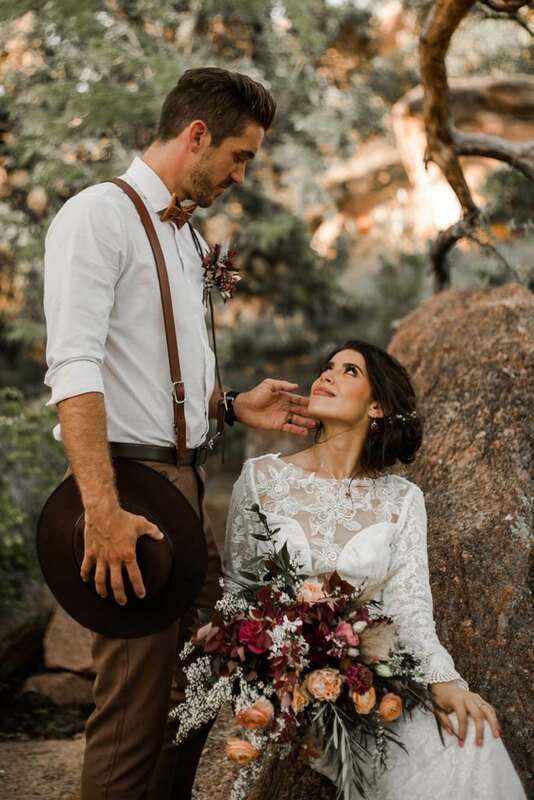 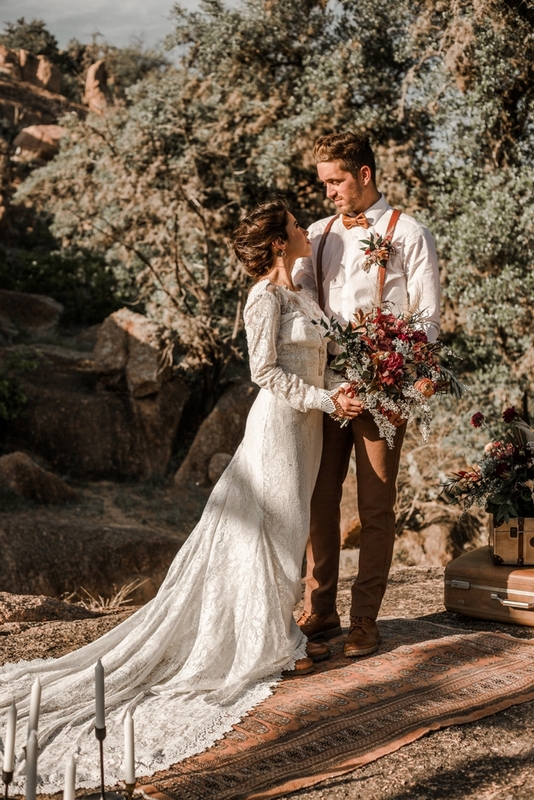 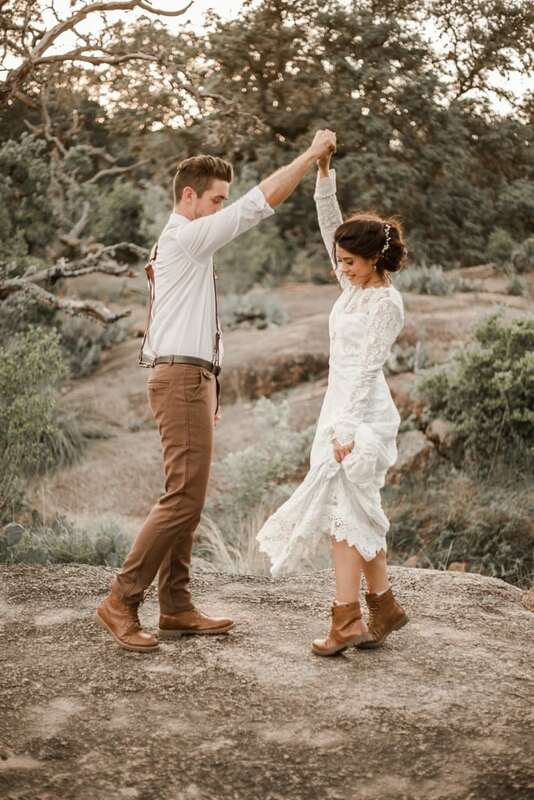 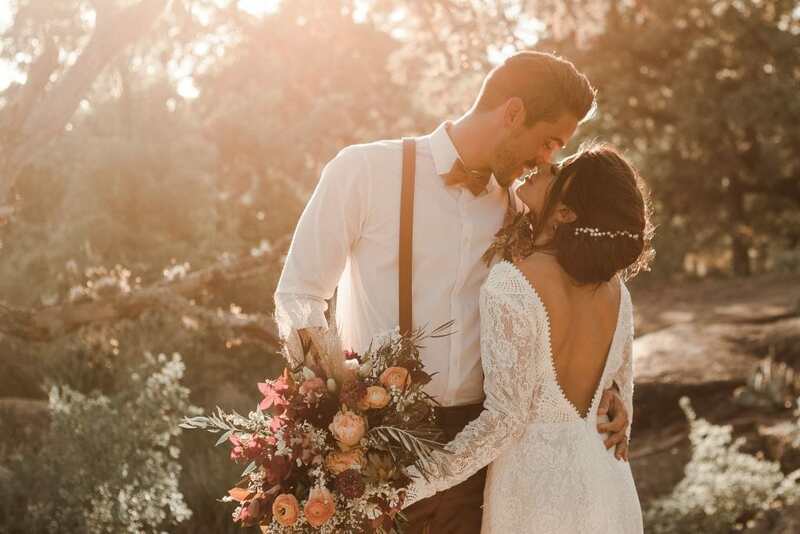 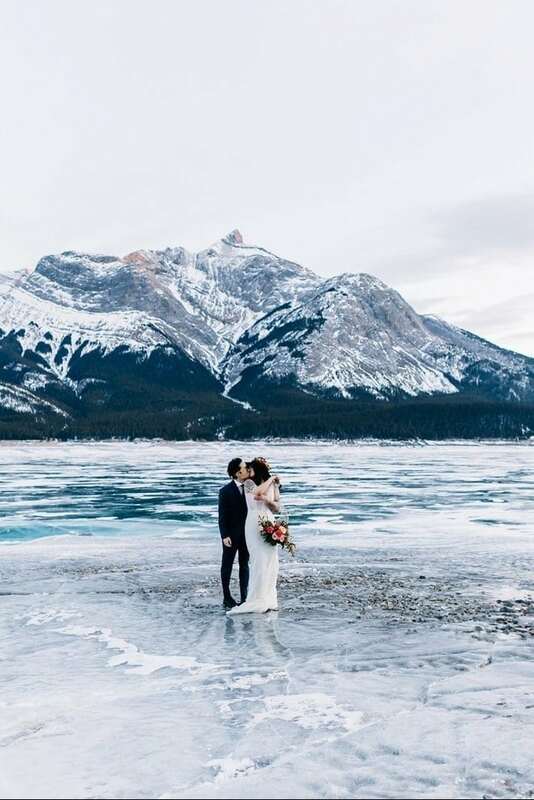 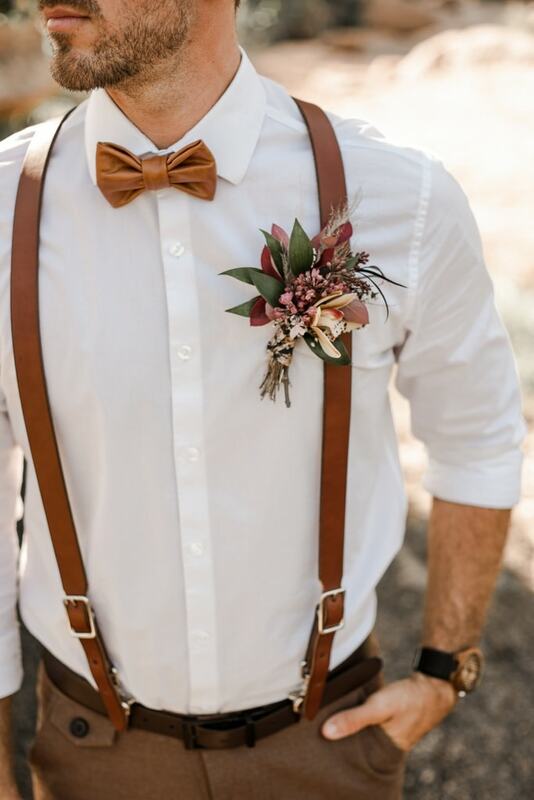 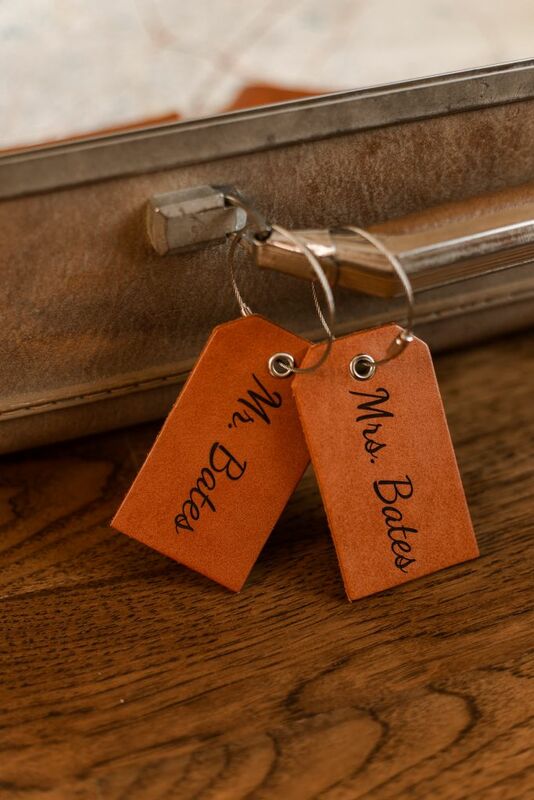 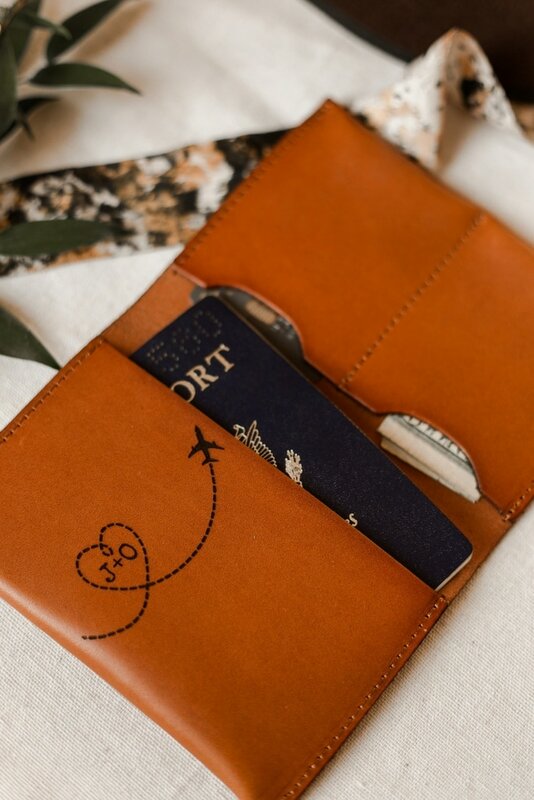 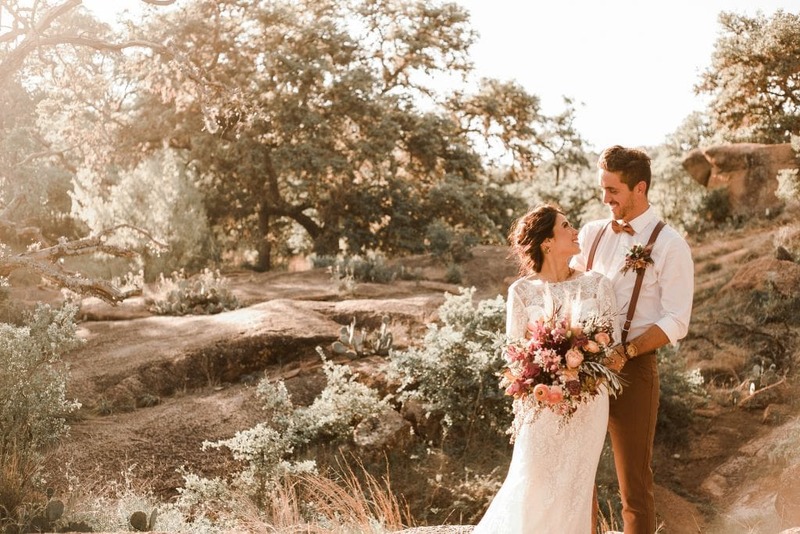 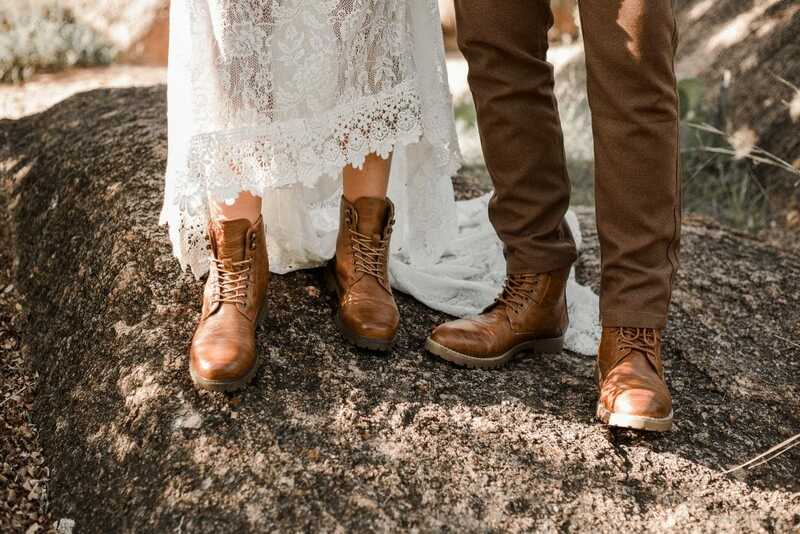 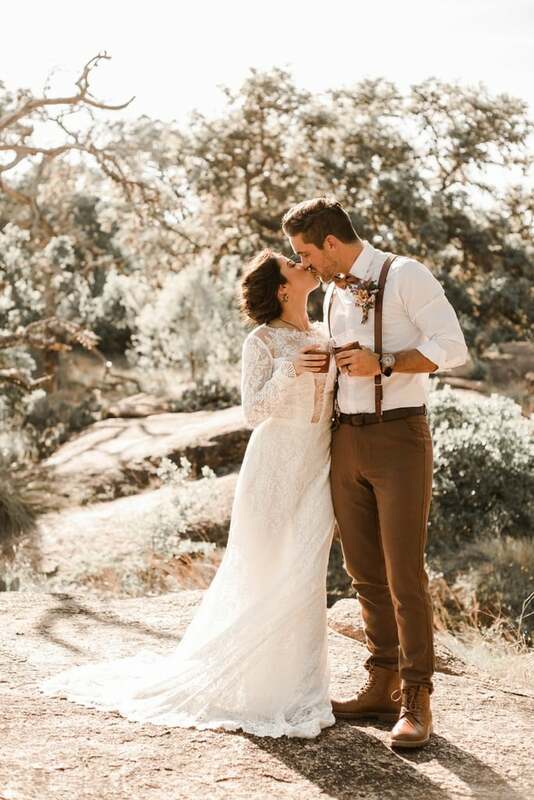 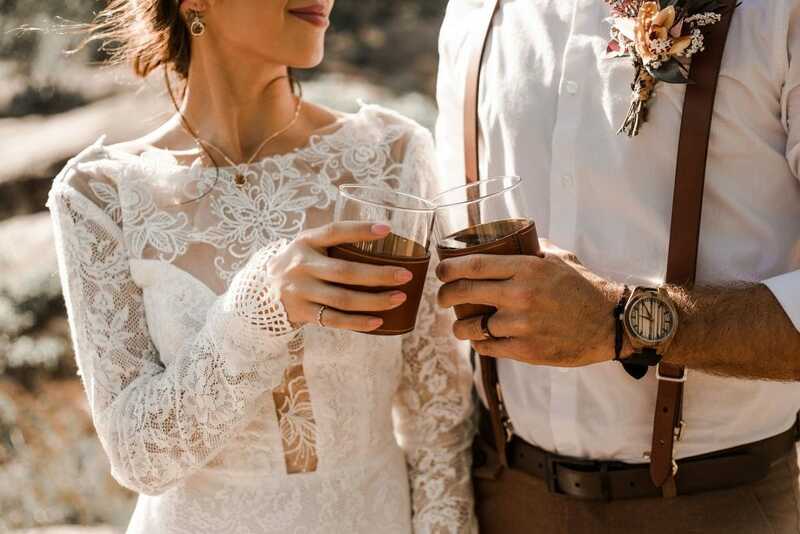 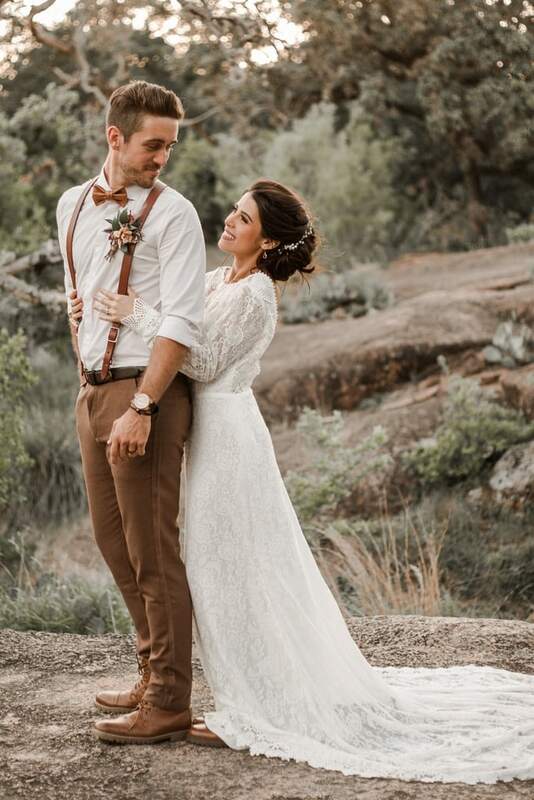 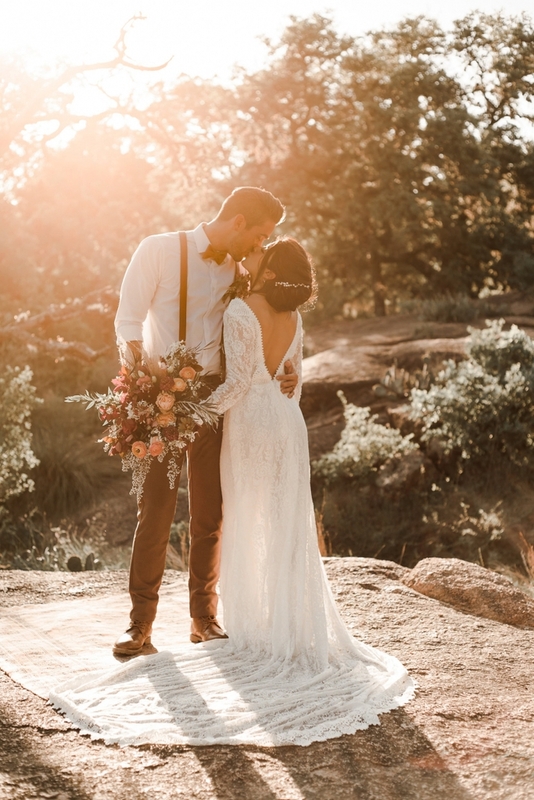 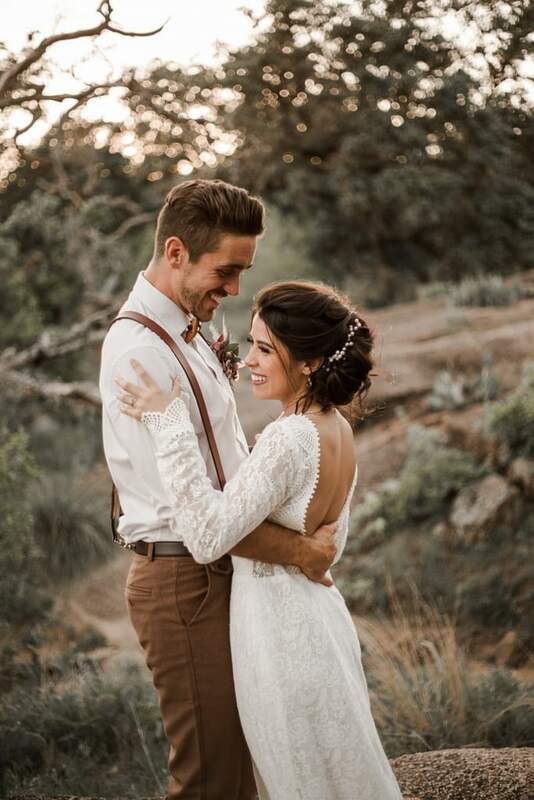 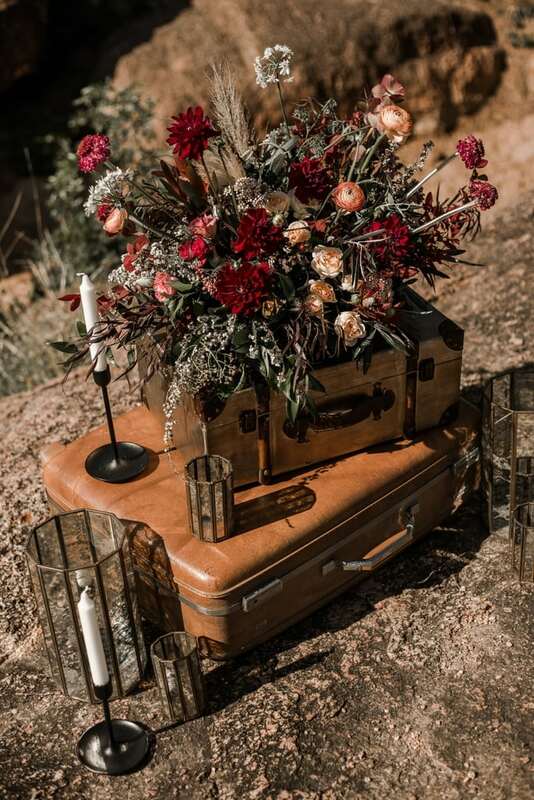 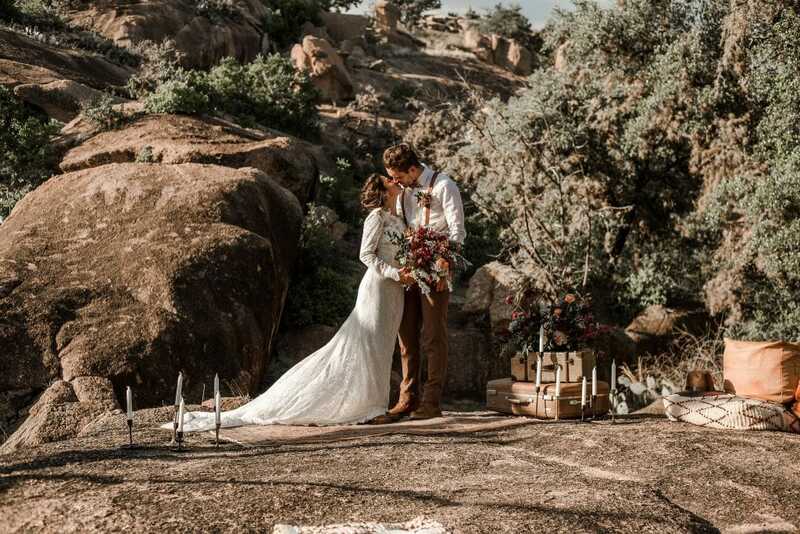 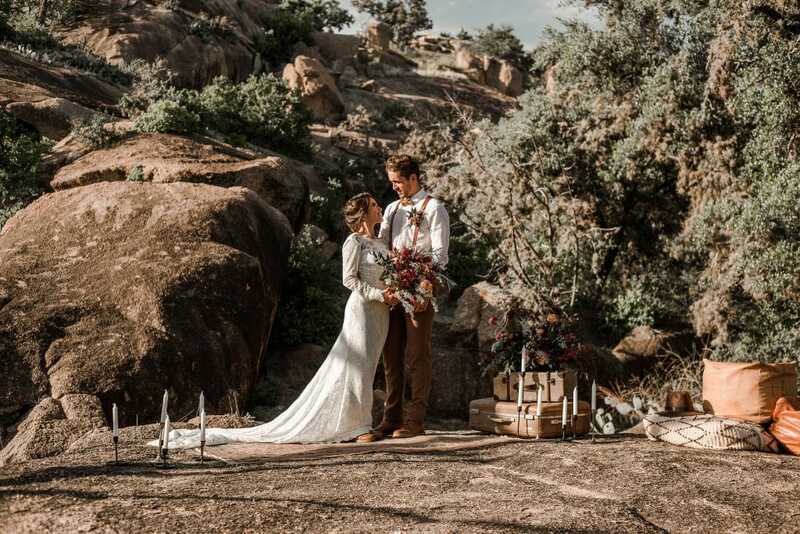 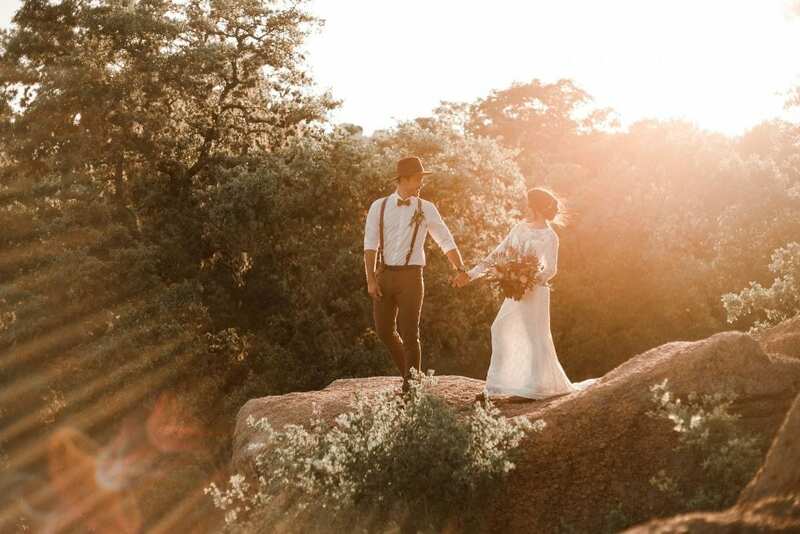 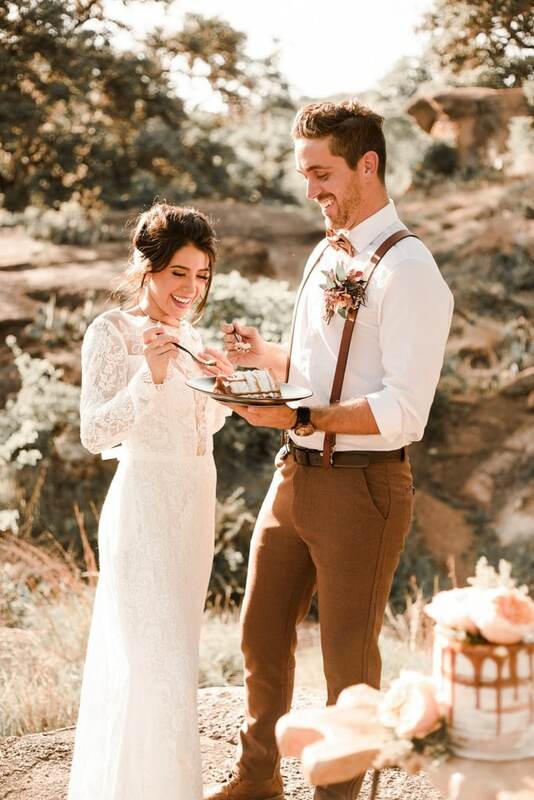 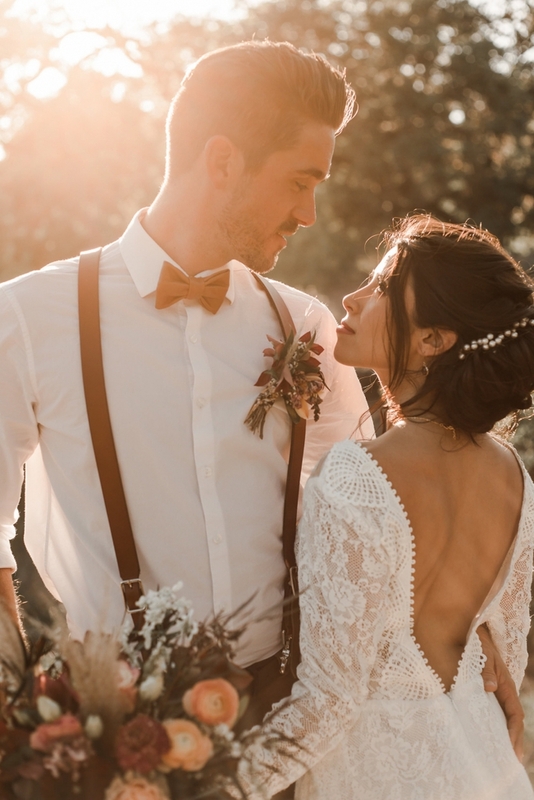 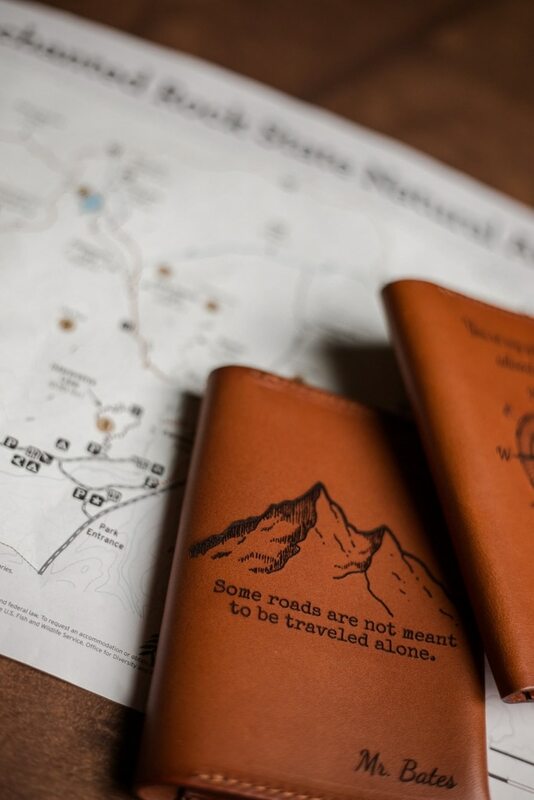 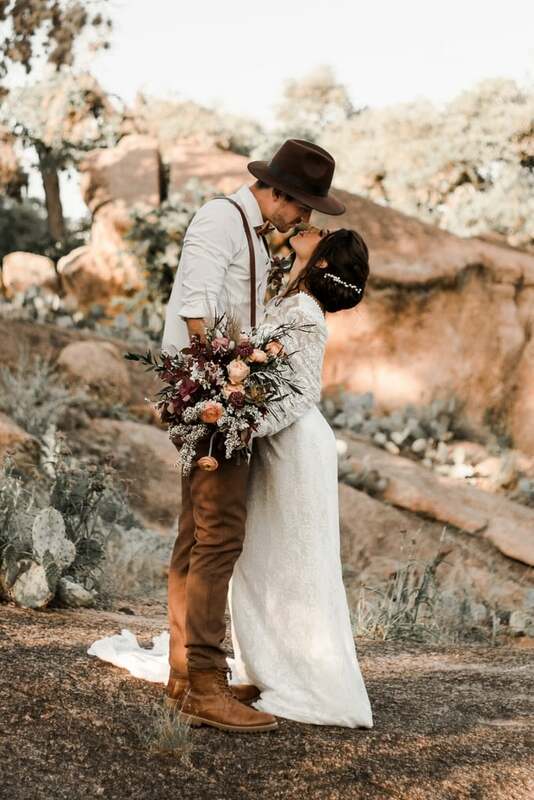 This includes the personalized luggage tags and passport covers, the elegant whiskey glasses, the groom’s chic suspenders, and perhaps most importantly, the couple’s matching hiking boots, simultaneously complementing their sense of adventure and effortlessly tying the session together. 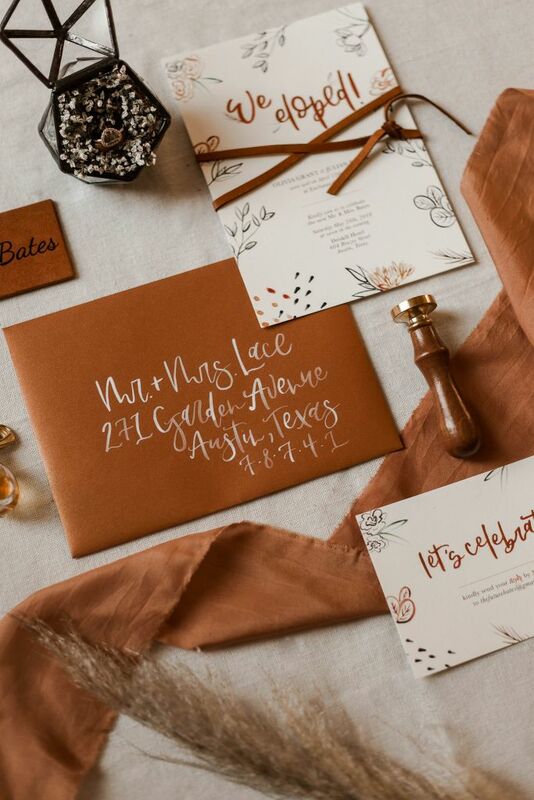 Thank you to Wild Love Photography for sharing this session!